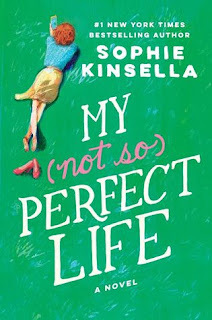 Sophie Kinsella is my go to author when I need something light, witty and entertaining. Her Shopaholic books are favorites of mine in audio format, with the reader bringing so much life to the story. I don't know if I would have the same reaction if I read them but they were great in that format. 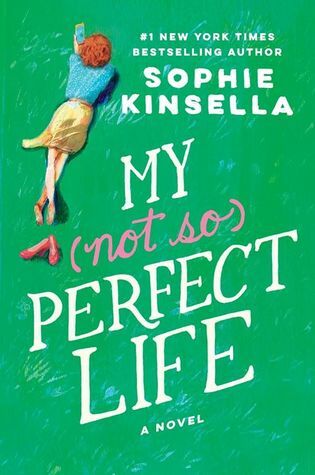 When I started My (not so) Perfect Life my first thought was that it would also be great in audio and I actually debated about waiting until the release day to go that route. 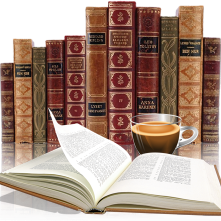 But I sat and read a little lot more and then a little more, eventually I was so immersed in Katie's life that I couldn't put it down. Katie also known as Cat, has goals dreams and lives those dreams through her Instagram account. She has a career she wants and is apparently very good at it and a lifestyle she dreams about. But when things don't always go the way planned the real adventure begins. Secrets take over, and a little revenge. The authors authors writing style brings this story together perfectly, her dialogue makes me smile and laugh out loud, her characters are not perfect and she does this all in a believable and realistic manner. One of the things I really love is that this is not book was not over run with romance but it's about Katie who is trying to find her place in society. This was a very enjoyable read and I recommend it to anyone who enjoys a fun story with twists, turns and an unexpected ending. Thank you to the publisher for an andvanced copy (via Netgalley).